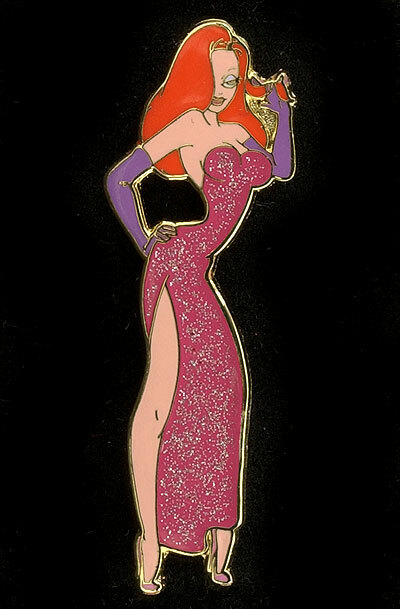 The design of this pin uses art we have seen before, but it is altered to make Jessica look like she is twirling her hair between her fingers. Counterfeits of this pin do exist. A special one-of-a-kind version of this pin cast in gold metal was released through Disney eBay on May 15, 2003 and sold for $295. 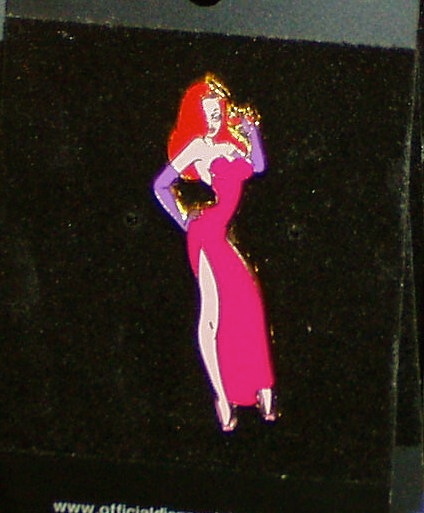 This exclusive was the first U.S. pin of Jessica to feature a glittered dress.